I grew up during the plastic surgery boom when it was all about getting facelifts and liposuctions. Because of this, I had the impression that non-invasive surgery was too good to be true. Just like most things in life, I felt like you had to endure the pain to reap the rewards. Turns out I was wrong and thank god! 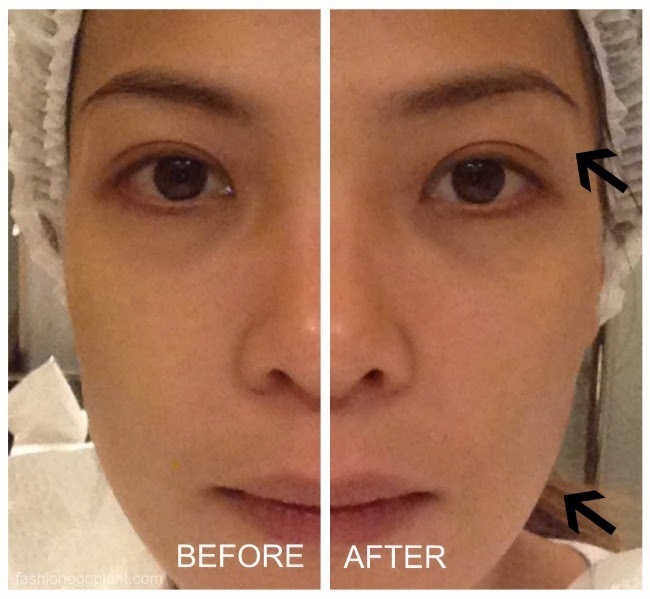 As I learned during my Beauty Staycation at Sofitel (more here), not everyone needs to go under the knife to improve their appearance. My aesthetic journey took place at Sofitel's Vietura where renowned plastic surgeon and dermatologist, Dr. MJ Torres, leads a team of experts in Dentistry, Nutrition, as well as a Lifestyle Coach who is there to tap into the source of your problem and make sure you stick with the prescribed program after your treatments are done or while you're treatments are ongoing. My concerns were made up mostly of anti-aging prevention because I am already beginning to see changes in my appearance - lines are beginning to appear where they weren't present before and my skin isn't as taut as it used to be. Later, during a talk conducted by Dr. MJ, I learned that this is actually the ideal way to go. Nip the problem at the root by acting on it in its birthing stages. This is also why she decided to switch to non-invasive surgery from traditional plastic surgery. According to her, most cases are repairable without the need to go under the knife. It is a gentler way of dealing with aesthetic aging problems...it's similar to giving a sick person some medicine first before recommending them to undergo surgery. Makes sense doesn't it? So anyway, after the talk and my one on one consultation, I decided to go with their Resolift, Resonax (decreases puffiness on the eyebags), and Carboxy Facial. Resolift uses electrodes to tighten the skin and reduce the appearance of fine lines and wrinkles. The treatment is comfortable and painless plus there is no downtime afterwards. A session lasts between 15-30 minutes and the results are immediately visible. My eyes are slightly arched higher but not in a weird way and my cheeks look a lot more contoured. Although not so visible in the picture, in person, my laugh lines also noticeably diminished. That's what happens after a Resonax treatment, it's like your face is perpetually contoured by a professional make-up artist. The effects per session last around 2 weeks and you have to get it done regularly for lasting results. This treatment is soooo addicting. I was told that a lot of actresses get this done before a pictorial. Next, I underwent the Resonax treatment for puffy under-eyes. Also painless and with no downtime, a Resonax treatment lasts around 15-30 minutes and consists of 2 eyepatches placed beneath your eyes. The high frequency emitters found in the Resonax Patches stimulate collagen and elastin which lift and tighten the skin for a more youthful look. As you can see, the puffiness beneath my eyes have significantly disappeared (compare to "after'" photo of Resolift above). And this is just after 1 treatment! Last on my skincare regimen that day was the Carboxy Facial. A Carboxy Facial resurfaces, reoxygenates, rehydrates and tightens the skin. During a Carboxy Facial, CO2 is infused just beneath the skin's surface to fool the body into thinking that it is lacking in Oxygen. In response, your body provides a surge of Oxygen and Nutrients to the treated area for improved circulation resulting in cell restoration. A gel like substance which smells fishy is brushed onto your face and then covered with a mask that you keep on for about 30 minutes. Unlike my previous 2 treatments. This had a little bit of a sting in the beginning...kinda like tiny needles piercing the skin. Sounds scary but it's actually quite tolerable and the pain goes away after the first few minutes. My skin looked super bright, tight, younger and flawless even without a single touch of powder or make-up! I highly recommend all three treatments at Vietura. Non-invasive surgery is more affordable and it definitely works! CLICK THIS FOR A CHANCE TO WIN A BEAUTY STAYCATION FROM VIETURA AND SOFITEL!!! Oh wow, so that's what happens with all these treatments. Thanks for sharing the pictures. :) You'e got great skin, btw.